It's the 3rd week of Pilipinas Got Talent Season 2 Semi-Finals and another batch of 6 semi-finalists took the stage tonight, May 14, 2011, to compete for 2 slots in the grand finals. Who do you think would own those 2 slots in the finals? This 3rd batch of semi-finalists of Pilipinas Got Talent Season 2 actually isn't hard to judge, as opposed to what judge Ai-Ai delas Alas said that it was a tough batch just like the previous 2 semi-final weeks. Among the 6 semi-finalists who competed tonight, I'm sure most of you would like 17-year-old Jem Cubil from Talisay City, Cebu to advance to PGT Season 2 finals, while the other slot could either be for Dance Selection or Happy Feet. 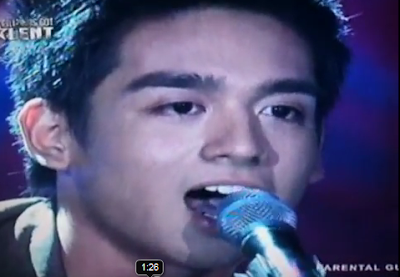 For his semi-final performance, Jem Cubil sang David Cook's "Time of My Life" as he played the guitar. Did you like his performance? Or did you like him as he is, Jem Cubil a good-looking teen guy who can sing well and play the guitar? Kris Aquino and Ai-Ai delas Alas, just like how they admired Markki Stroem in Season 1, have appreciated Jem's looks and charm more than his musical talent. Ai-Ai said: "Napaka-fresh mo ngayong gabi na 'to. 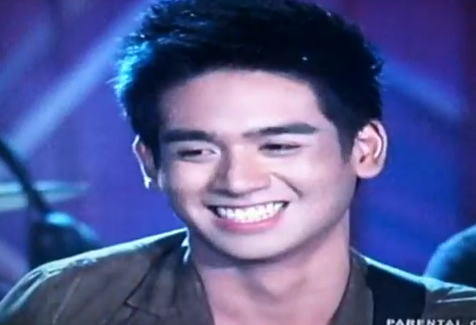 Ang cute cute mo ngayong gabing ito." while Kris said: "Pamatay ang kagwapuhan mo!" As a viewer myself, I actually didn't care about his singing. I was just looking at his face and smile as he stood there on stage. He was looking his best tonight. I know this is Pilipinas Got Talent and not a star-search hunting for both good-looking and talented, but I think having the ability to charm the audience, which is a quality that every performer should have, is a talent and Jem has it. If Jem Cubil doesn't get the highest votes and be pitted against Happy Feet or Dance Selection for the judges' votes, he'll find it hard to enter the grand finals. Judge FHM might not pick him while judges Ai-Ai and Kris will be having a hard time to make a decision. and send it to 2331 for Globe, TM and Sun Cellular subscribers or 231 for Smart and Talk 'N Text.